We all vacuum our carpets, but giving them a good wash from time to time is also important. Deep cleaning your carpet is not really thought about unless you have a rental property and need to do a thorough clean before new tenants move in. However, all carpets have fibres that accumulate unhealthy bugs, so the tool to help is a carpet shampooer. We bring you a guide on all you need to know about these bad boys and what brands are on offer. Carpet shampooing is one of the oldest methods of cleaning heavily soiled and stained carpets. While a vacuum only deals with loose dirt, a carpet shampooer – also known as a ‘carpet cleaner’ or ‘carpet extractor’ – uses a combination of water, concentrated detergent and suction to lift the deep-down dirt in your carpet. It generates a thick lather of foam and helps to break down dirt particles. It’s commonly used for high traffic areas as well as rugs, but with additional attachments you can also clean car seats. A steam cleaner is another alternative for cleaning carpets. It breaks down dirt through blasting hot water into the carpet, ideal for cleaning mildew and mould. Steam cleaners are typically lightweight and easy to manoeuvre around furniture compared to lugging around a bulky shampooer. However, a shampooer is designed with scrubbing action, so it requires minimal movement on your end. Should I buy or hire a carpet shampooer? It’s recommended to deep-clean your carpets once or twice a year. 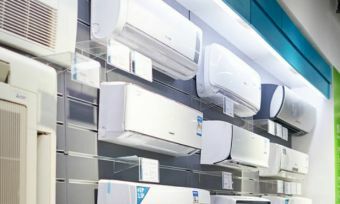 Whether you’d prefer to hire one instead of storing one will depend on your budget, size of the area to clean and how much space you have available to store the bulky appliance. Large capacity shampooers can cost over $1,000. However, it could be a long term investment especially if you’re using it across multiple properties or possibly sharing it with other family members and friends. Instead of buying, it’s common to hire a professional to do the job or simply hire a carpet shampooer from a hardware store such as Bunnings. It usually costs about $38 to hire for 24 hours and $47 to hire for a weekend, which excludes the cost of detergent. If you split it with your neighbour, that’s less than $25 bucks each! Other hire companies include Britex and Rug Doctor. While hiring could be a practical choice, carpet cleaning does require a lot of time to complete the job, so keep this in mind. How much do carpet shampooers cost? Other costs of carpet shampooers include the cleaning solution, which must meet manufacturer’s instructions. Some detergents may not be good for specific machines. Similar to other cleaning products, a variety of cleaning solutions exist, targeting different cleaning needs from pet smells to deep-down stains. Typically you receive a small sample of a detergent with your purchase but it won’t last you long. Hired carpet shampooers might also have a compartment for a de-foamer/anti-foamer solution to reduce excess foam. Tank capacity: while a large tank may make the appliance heavier, it requires less refilling. A smaller tank, although easier to manoeuvre, may require more frequent refilling. If you have a large area to clean, a bigger tank will be more efficient instead of going backwards and forwards to the sink. Length of power cord: long power cords can save you from constantly re-plugging the machine from room to room. But with water involved safety is also important – you wouldn’t want to trip over a power cord if it’s too long. Weight: generally carpet shampooers sit just under 10kg with lightweight shampooers being easier to manoeuvre. 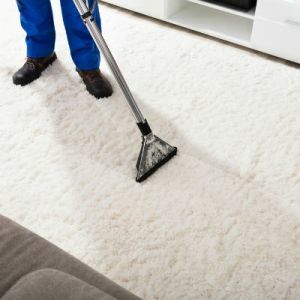 Attachments: depending on your cleaning needs you may like to look out for carpet shampooers that include a hard floor tool, upholstery cleaner for furniture (but check if your specific material allows shampooing) and brush tools to target specific spots. Long hoses may also help to not lug the appliances up and down the stairs. Noise: with noise levels louder than some lawn mowers, some carpet shampooers will require wearing hearing protection such as earmuffs or earplugs that guarantee protection for up to 85 decibels. Bissell offers a number of carpet shampooers from small portable models to full size machines. The Bissell ReadyClean 20W7F Carpet Washer weighs 5.6kg and is equipped with a 1.89L tank capacity. It comes with a Bissell Rotating DirtLifter Power Brush, as well as a nozzle tool and hard floor tool. The recommended retail price for this cleaner is $239. The Bissell ProHeat 1858F 2X Revolution Cleaner is the latest addition to the pack. 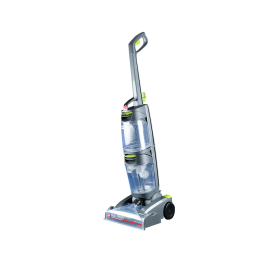 Coming in just under 8kg, it has a 3.7L tank capacity, 6.7m cord length and provides a 27.9cm cleaning path. It’s equipped with a stain brush, bare floor tool and a 2-in-1 spraying crevice tool for the hard-to-reach areas. For a price tag of $599, it’s boasted for the Heatwave technology that maintains constant water temperature. It also features an express clean mode, claimed to have your carpet dry in about an hour. It includes a trial size oxy boost carpet cleaning formula enhancer. Apart from vacuum cleaners, Hoover has a number of floor cleaning solutions including seven carpet shampooers. Expect dual spin power brushes and dual tank technology – one for clean water and one for dirty water. The designs also feature one trigger to release cleaning solution. The Hoover Dual Power Carpet Shampooer covers a 30cm cleaning path and has an 8m power cord. Most of Hoover’s carpet shampooers cost between $400 and $900. The Hoover Dual Power Max Carpet Extractor sits at the top of the Hoover price range. It’s designed with a DualTech Cleaning Technology system, stated to combine the power of a rotating brush and a spin scrub cleaning brush. It also has an inbuilt heater system to help keep the clean water at what is stated to be “optimum” temperature for cleaning. The Hot Air Carpet drying function is designed to provide hot air as you complete the cleaning process with the aim of speeding up the drying process. A number of tools are including such as a detachable upholstery tool to clean upholstered furniture and stairs. From vacuum cleaners to steam mops, Vax has all your floor cleaning needs covered. The Vax VX30 Rapide Fresh Carpet Cleaner weighs in at 5.6kg, with a 6m cord and 2L/1.7L clean/dirty water tank capacity. It features scrubbing brushes to help gently agitate carpets and loosen dirt. It costs $149 (RRP) and comes with a 250ml bottle of detergent. Another model in the range is the Vax VX65 Dual Power Pro Carpet Cleaner. It’s equipped with a 33cm wide nozzle, a twin tank to separate clean water from dirty water and is boasted for quick drying Dual VTM technology. This Vax carpet shampooer is designed with an 8m power cord, 3.5L clean water tank and 2L dirty water tank. It weighs in at 11kg and provides 12000W of power. Plus, it comes equipped with a hard floor tool, stretch hose, upholstery tool and accessory bag plus 2x250ml Hoover cleaning detergent. The Rug Doctor currently features three carpet shampooer models. All have an IPX4 rating for outdoor use. The Rug Doctor RUGDOC93170 Deep Carpet Cleaner is priced at $649 (RRP) and features a dual tank with 3.8L clean water capacity and 4.2L dirty water capacity. It weighs 11.34kg and has an 8.5m cable length as well as a 2.4m hose. It provides a cleaning path of 30.5cm and comes equipped with a removable tool caddy and quick release main cable wrap. 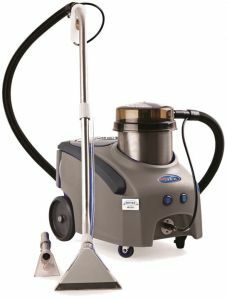 For a small portable model, Rug Doctor features its handheld RDPC Portable Spot Cleaner, which will cost you just under $300. It’s 6.8kg in weight and is designed with a 4.6m cable and 1.7m hose. The dual tank allows for 1.9L clean water capacity and 1.89L dirty water capacity. It has a slightly smaller cleaning path of 11.43cm but comes equipped with a power hand tool and motorised brush. Similarly to other brands, Rug Doctor offers a trial bottle of detergent with both models. The Britex carpet cleaner is also claimed to be “lightweight” – if you consider 18kg to be lightweight! Perhaps on wheels you don’t feel the weight. It’s stated to use a hot water extraction system to help reach deep into the carpet and fabric furnishings with a drying time of two to four hours. Should I buy a carpet shampooer? There are a number of factors to consider before purchasing a carpet shampooer. Firstly, it’s important to look at the area you need to clean, as well as the type of home you have – with stairs or pets. There are specifically designed carpet shampooers to address these factors, which you may like to look out for. Some carpet shampooers also have heaters – such as the Hoover Dual Power Max Carpet Extractor – aimed to increase the cleaning efficiency. The upholstery tools can further assist with the result of the clean, targeting specific areas around the home – including mattresses and lounge suits.